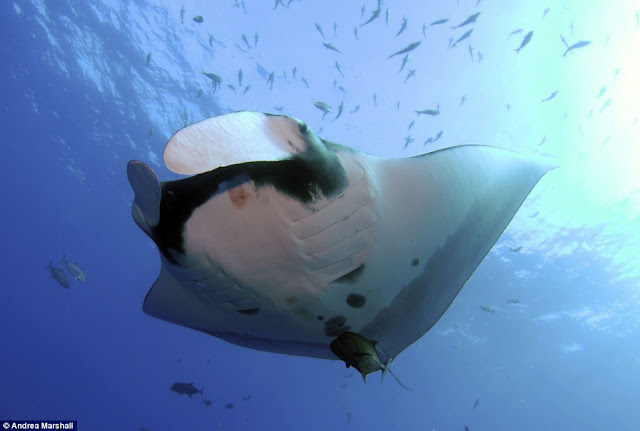 These meandering manta rays have been photograph off the coast of Mozambique feeding on plankton. 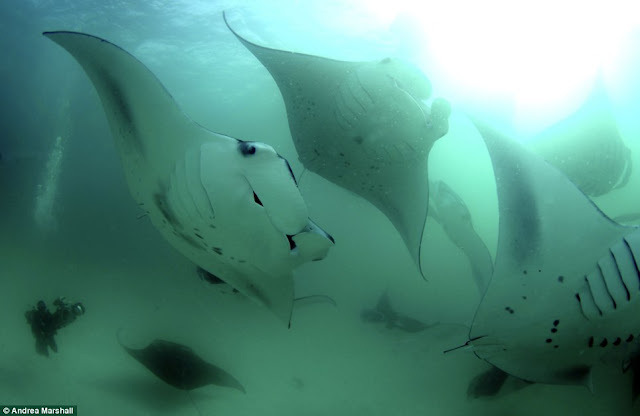 Biologist Andrea Marshall who took the footage described as the rays as being 'the most beautiful underwater birds.' Dr Marshall works to promote protect the these ghostly travellers at the Manta Ray & Whale Shark Research Centre at Tofo Beach in southern Mozambique.